In Chinese Medicine there is a term called “Wu Shi Jian” which refers to shoulder pain that starts at around age 50. These categories of shoulder pain could be anything from Rotator Cuff Tendonitis, Impingement, Bursitis or Adhesive Capsulitis. Acupuncture is very effective in treating these shoulder patterns. 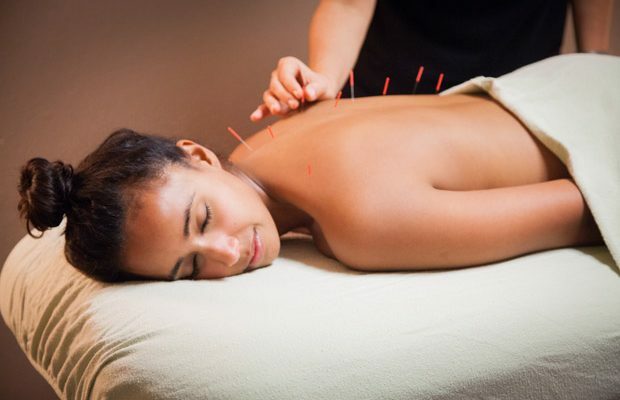 Acupuncture is performed by insertion of thin needles into points called “Acupoints”. There are thousands of Acupoints along what Chinese Medicine calls Meridians pathways. Meridians carry energy called “Qi”. When there is blockage of Qi, there is pain. Needles unblock Qi and ease pain. Needles also blocks pain impulses from reaching spinal cord and brain and stimulate body to produce more pain reducing substances such as endorphin. Acupuncture promote blood circulation to improve healing, relaxes muscles, reduce inflammation and ultimately eliminate pain. Acupuncture is usually painless and performed 1-2 times per week. Each session usually last between 30-45 minutes. While the average number of treatments for shoulder pain is 3-5, but depending on the cause and duration of the shoulder pain, more Acupuncture treatments maybe required. If you have shoulder pain and have tried different treatments without much relief, you may want to give Acupuncture a try.